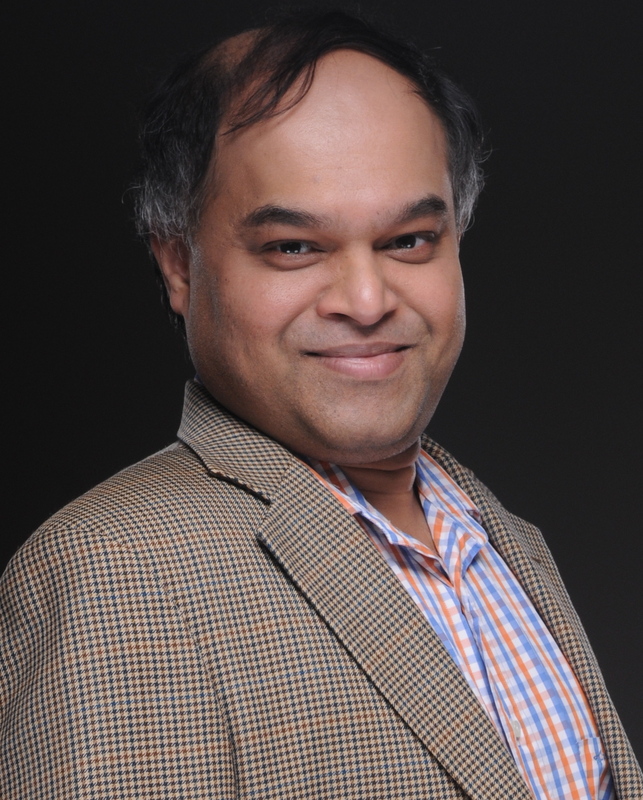 World renowned as a thought leader in the area of Mobile Applications, Ajit Jaokar has long been recognised as a thought leader in the Mobile Data Industry. Among other things, he has chaired Oxford University’s Next Generation Mobile Applications Panel, acts as an advisor to mobile startups, governments and trade missions around the world. In 2009, he was invited to be a part of the World Economic Forum’s Future of the Internet Council. Ajit is a man on a mission, and that mission is as multifaceted as it is fascinating. At the heart of all of his projects and practices is a deep felt belief in the need to make a positive difference. This is resoundingly reflected in futuretext, the publishing and consulting firm, which he co founded in 1999. Most recently, Ajit has authored, ‘Meditation in the Age of Facebook and Twitter – From Shamanism to Transhumanism,’ which explores the efforts and effects of attempting to manage life in the digital age through meditation. Ajit, welcome to the Capital I Innovation Series! Firstly, many thanks Kim for the insightful questions you sent me about the ideas covered in my book. I shall cover many of these ideas, but since they and the book are evolving, I will try to extend my thinking beyond the book in this interview. In the book you posit that meditation cannot be separated from society. Why? Meditation, as I describe it in this book, is a technique for personal development and reflective of a wider social change that we see today. In that sense, the idea of meditation i.e. introspection – is based on the cultural context. The traditional view of meditation is that of a monk who renounces the world and maintains a state of calm, peaceful demeanour. But, here is another viewpoint: In January 2009, due to a bird strike, US Airways Flight 1549 was forced to land in the Hudson River in New York City; it did so successfully, with no loss of life. When I first heard of this incident, I was fascinated by it. The actual technique of landing the plane is complex enough, but even more interesting for me is the mind-set of the pilot and the pilot’s perspective. 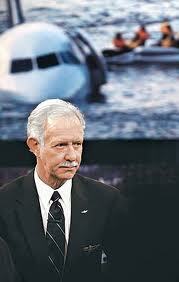 The metaphor of an airline pilot (Captain Chesley Sullenberger) is an excellent example of a meditative mind. While most of us will never have to deal with a situation remotely as complex as landing a plane on a river, the incident points to how the meditative state of mind is absolutely relevant today. Do you think meditation has to evolve to be compatible with today’s social networks, or should social networks be made to evolve to be compatible with meditative/calm states? We have always had ‘social networks’. Even the smallest village has a social network – we call it gossip. The issue is more that of a ‘rate of change’. However, if you phrase the question as an ‘either – or’ i.e. 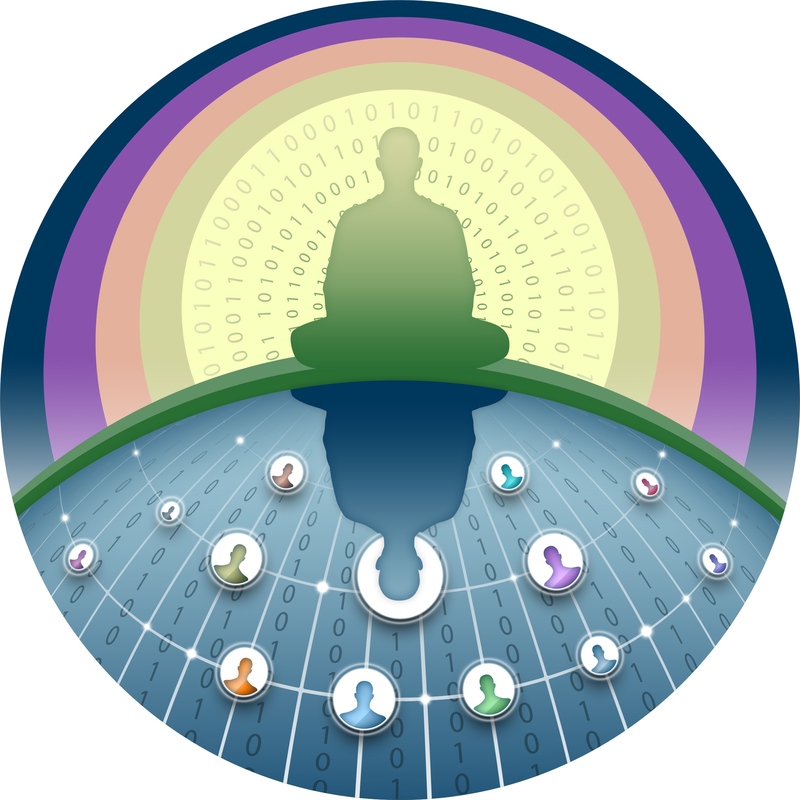 should meditation evolve or should social networks evolve – the answer is the former. The rate of change of society will accelerate. This is independent of ‘social networks’ but is rather a function of technology in general. 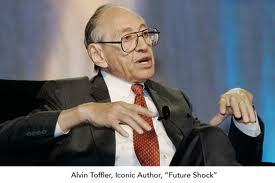 Toffler’s shortest definition of future shock is a personal perception of “too much change in too short a period of time.” For many, that sounds familiar – they are indeed living in a Toffleresque world. Living in such a world is very relevant to meditation because meditation involves detachment, the ability to ‘unplug.’ So, meditation will evolve to meet these new challenges. Will true mastery of our digital presence require an Innovation of our neural networks, be it within the context of dreams, meditation, and/or awareness? There are two aspects to my response here. I view a common theme in all networks, a leitmotif if you will. In that sense, if we see that we are living in a world of networks with a breakdown of hierarchies – we are becoming aware of the significance of neural networks. Another way to look at this idea is to think of the unified theory of science. In simplistic terms, the unified theory (or a theory of everything) is a superset of existing theories in physics. The term was coined by Einstein, who attempted to unify the general theory of relativity with electromagnetism, hoping to recover an approximation for quantum theory. So too, I see ‘networks’ unifying many aspects of our world – both neural and social. 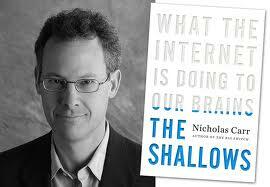 Secondly, many authors such as Nicholas Carr worry about what the Internet is doing to our brains [as he posited] in his book The Shallows. Others, like the neuroscientist Susan Greenfield [Baroness Greenfield, CBE] claim that social sites such as Facebook are causing alarming changes in the brains of little children. It appears that many of us are now left with a longing to disconnect, to unplug, and academics and gurus are tapping into that trend. Thus, if you take the view of the ‘scaremongering’ experts like Carr and Greenfield – then there is a negative relationship between social networks and the brain. I do not agree to this view. I take a more optimistic view that the brain is evolving to higher domains because social networks facilitate more connections – and these connections will cause a positive innovation in our neural networks because as we have more elements to connect – we create innovations from new combinations of existing ideas. For many, mediation and networking are mutually exclusive as mediation is individual and internal and networking is collective and external? What are your views on this perspective? Here is a question: Were monks ever meant to be on Facebook and Twitter? Daisetz Teitaro Suzuki, the Japanese author and teacher of Buddhism, describes the traditional lifestyle of a monk eloquently in his book ‘The Training of the Zen Buddhist Monk’, when he emphasises the importance of begging. Traditionally, a monk needs very few possessions. These include a bamboo hat, straw sandals, and cotton leggings. He dresses in traveling attire, and even when modern transportation is available, he walks. These and other meagre possessions are designed to be carried in a bundle on the monk’s back. The monk limits his possessions to a minimum and thereby also limits his desire to possess. He (and yes, monks were always male) leads a life of humility and also often makes his income through begging. The point is: The monks’ original lifestyle (a frugal existence based on begging) is not compatible with our current lifestyle. By that I mean, we want to meditate but not beg! Thus, while all meditation involves looking inwards, I believe that the act of looking inwards will strengthen our outward interactions and we have to accept that these outward interactions have changed and will continue to evolve – and hence so will our inward introspection. As individuals are attempting to retain and/or regain power over their own data and online privacy, is there a correlation between this and using mediation to regain control over our own attention economy? The attention economy, as defined by marketers, is a more serious threat to our online attention rather than merely social media. There is a common factor between media/marketing and social networks (I define ‘social networks’ here loosely as a collection of your friends). The common factor is: both play on ‘emotion’ i.e. you like your friends’ posts because you have some emotional connection with your friend. Media does the same – but for commercial reasons. It is increasingly difficult for media to get attention with so much choice – so media has to make content more outrageous, violent etc etc. Thus, while both appeal to emotion – and both lead to ‘distraction of attention’ – with social media you can choose – with traditional media – the choice is made for you. How do you see meditation enhancing our powers of intuition and thus our power to ‘thin slice’ all the information we are receiving, to determine what does and does not need our attention? Intuition is an important goal in today’s world. In general, Intuition is seen to be ‘positive’ i.e. you benefit from hidden insights or insights ‘under the radar’. Intuition will also be an important part of my thinking in subsequent versions of this book. The question I want to address is: How can intuition be improved in a world of social media? I believe that more connections equal more intelligence as long as you can process the inputs from the connections. Here is where meditation is extremely valuable in today’s context. There is an excellent book I read with great interest recently, ‘Thinking Fast and Slow‘ by [Nobel Laureate] Daniel Kahneman. In this book, Daniel talks of two modes of thought – “System 1” and “System 2“. System 1 is fast; it’s intuitive, associative, metaphorical, automatic, impressionistic, and it can’t be switched off. Its operations involve no sense of intentional control, but it’s the “secret author of many of the choices and judgments you make“. System 2 is slow, deliberate, effortful. Its operations require attention. One of the key points of the book is: We identify with System 2 but we are really profoundly System 1. So, System 2 is seen to be a supporting character, it needs a lot of effort to activate and gets tired easily. System 1 is active most of the time and it is right – most of the time. But it is also error prone because it has to work fast and loves to simplify. At the conclusion of the book, Kahneman links ‘watercooler conversations’ to ‘better decisions’ – which depend on intuition – when he refers to the idea of creating valuable insights/decisions based on water cooler conversations. Now, let’s consider this: today we have many, many such ‘water cooler’ conversations on social media. How can they be used to create better intuitive judgements? Furthermore, is it possible that we could integrate both these systems in meditation and thereby gain new intuition? What do you believe is the impact of social technologies on meditation and how does that reflect on what you term emergence and synchronisation? I have always been interested in the wider implications of the mind/evolution. Especially on the theories of emergence – which are network based and are at the edges of current scientific thinking. Arthur Winfree, a scientist who studies biological rhythms, studied the problem of coupled oscillators across many different domains. Specifically, he studied the problem of biological oscillators, i.e. the ability of neurons and fireflies and other organisms to synchronise with each other on a massive scale. Prior to Winfree’s work, scientists had restricted their investigations to two oscillators or a small number of oscillators. Winfree conducted his experiments with a system comprising a very large number of oscillators with a range of frequencies. His objective was to see under what conditions these oscillators synchronised. He discovered that such oscillators display a cooperative behaviour and that at a certain threshold the oscillators begin to synchronise spontaneously. This is one of the first examples of a self-organising system observed under experimental conditions. The phenomenon applies to many domains like the circadian rhythm (body clock) and in general to all fields where natural oscillators are seen. Winfree’s work is significant because he was the first scientist to explore the phenomenon mathematically, and by increasing coupling, all oscillators in his experiment became locked. If we view the brain as an oscillator, I speculate we may see the same effect with the brain at some point, especially if the brain capacity is enhanced by BCI [Brain Computer Interface] – probably as implants. This may sound far-fetched, but many of the elements exist – and I have faith in the limitless possibility of the human mind! You discuss mediation being enhanced by BCI technology, which you say is the ‘next generation of neuro-social networks.’ How do you see this giving us an advantage, as individuals, and as a society? I am a big believer of using BCI technology in understanding and improving meditation. It is the next natural evolution in mediation. But I also believe in understanding the past and the future together. In that sense, my thinking differs from current thinking (which focusses on either the past or the future). This image would look like a ‘shared hologram,’ i.e. your state of mind projected as a three-dimensional object which can be viewed by others with whom you share it. This means you will get biofeedback at two levels: 1) the individual level and 2) the social level. The very act of sharing your ‘neural profile’ with others will create the opportunity to build a shared/social/collective profile. Here, meditation using the brain as an object of meditation has two roles: at an individual level, with the ability to develop the mind; but likewise it also has a role at the social level where meditation becomes a shared/collective experience. You might want to check the work by Brainbot, originating out of Stanford University, who also use BCI technology with monks. You suggest that meditation, networks and technology could be used together to increase our intelligence. What makes you believe that this greater intelligence would be used in a positive way for the greater good? Actually, the goal of my thinking is to adapt existing knowledge to the world of today – and ultimately to extend it to the future. In that sense it is agnostic of good or bad. However, networks lead to connectivity and connectivity leads to empathy – hence an overall tendency towards good. What is your vision of the future for mankind, if, as you posit, the evolution of our neural networks through meditation and social/digital technology brings about a liberalised, borderless global society with more independent thought and fewer hierarchies? Yes, we see the rise of the liberal mind-set as seen in many areas: the rise of women, green issues, the “springs”(Arab springs) etc. I am optimistic about the future of mankind because this is not the first time that we, as a species, have been united. The last time that happened 70,000 years ago, when we undertook a quantum leap in our evolution. Around 70,000 to 80,000 years ago, the Toba super volcano erupted in what is now Lake Toba, Indonesia, causing a six- to ten-year-long global winter that led to a near extinction of the human population. The survivors, probably numbering as low as 1,000 individuals, were most likely forced to live and work together to overcome the dire climatic conditions. 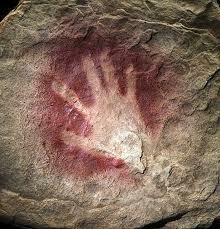 In doing so, they evolved language and social skills that we, their descendants, inherited. So, crisis brought all humanity together and when we did connect together as a species there was a quantum leap in human evolution via networking. This evolution also impacted our brains because, in general, the more complex the society and its communication patterns, the more evolved the brain. It led to development of culture. Around 70,000 years ago, human beings deviated from other primates by evolving a culture such as is evident in the rock paintings in the Blombos Caves of South Africa. After 70,000 years, humanity is being connected together again, but not by a crisis – by technology. Once again, like we did so many years ago, we can expect a quantum uptake in intelligence, adoption of new identities, and a new culture. It has been posited that social networks may, in the future, lessen the onset of wars as it is thought that it will be more difficult to invade and kill someone you’ve ‘friended’ on Facebook. Is this what you meant when you wrote, “Once we are able to see conflicting points of view through networks, our sense of local identity is complemented by a sense of global identity”? I think the song encapsulates the sentiment i.e. once we see conflicting points of view – we have hope for humanity. People who meditate are more likely to look for weapons of mass distraction – rather than weapons of mass destruction – and find them too. You cite Howard Rheingold in your book, noting that he helped you understand “communities from first principals.” You also mention that, prior to his 1993 book, researchers focussed on ‘computer mediated communication.’ Are you envisaging a future where the focus changes to ‘computed meditative’ communication? In a nutshell – yes. Howard is a great visionary and a mentor. He knows networks from first principles – long before the ‘Internet’ was created, and he understands the ethos of the Internet more than most. We are seeing a continuum in the evolution of the Internet. However, there is one interesting fork on the road. 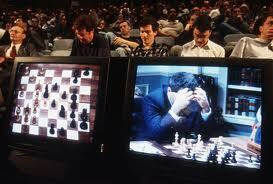 Currently we have a dichotomy of ‘man vs. machine’ – such as in a chess game of human (Kasparov) vs machine (the IBM Deep Blue computer). When it comes to man vs. machine, we want the human to win! But we could soon have machines complementing human ability. This is already happening with the Cochlear Implant – the bionic ear – and could happen with future neural implants. In that sense, I agree with the question that we could see increased computer mediated communication. To come back to the origins of the Internet, the visions of the original founders of the Internet were based on socially utopian ideas (the ‘Hippie’ counterculture). Those ideas have survived and thrived through technology – Steve Jobs is an example of this – and they will continue to evolve. If we take it as a given that positive thoughts have a positive effect on neural networks, do you think positive thoughts may come to have an effect on digital/social networks? The short answer is – I don’t know. There is a co-relation between positive thinking and the brain – so I would presume that there is a relationship between thoughts and social networks – but I do not know. How are your suggestions being received by the general public and the ‘establishment’? They could be seen as somewhat frightening to the former and dangerous by the latter. Interesting you should ask this .. I think people relate to different aspects of the book. Some, who practised mediation in the seventies, see it as an evolution of meditation. Younger people see it in a totally new context (i.e. with no previous reference to compare with). Professionals see it for pragmatic reasons (being able to focus better in a world of distractions). I think the real impact on the ‘establishment’ is yet to be felt. I cover this in the last segment of the book ‘Living in a Post Tipping Point World’. I think in many cases, people are beginning to see the impact of grassroots change (and not just from meditation). However, most people steeped in traditional structures will never see the impact until it is upon them. This is because network led changes are based on science – but do not follow the scientific principle of ‘cause and effect’. Global warming is a good example of a change at the network level: events leading to global warming are interconnected, but their impact is felt only over a long period of time. When we do see the impact, it is often felt separately from the changes that trigger it. For instance you cannot know exactly how the ozone layer will change due to every plastic bag that you fail to recycle, but most people would agree that the environment is impacted by every plastic bag that ends up on the ocean floor. I believe that these changes will be ‘under the radar’ until they reach a tipping point – at which time the establishment notices! Having said that, the effects of meditation can only be beneficial – so it is a good thing. And finally Ajit, do you believe that mastery of meditation can have an effect on our digital presence, thus enabling and empowering Innovation in Collaboration and Cooperation? Yes, as I alluded to earlier. If we consider that networks are holistic and that neural and social networks have common properties – and furthermore, networks lead to more connections, which in turn leads to more innovation; then we are empowered by meditation and social networks. And may I add finally, many thanks for your insightful questions! You made me think even beyond my current book! You can learn more about Ajit via his blog and Tweets. 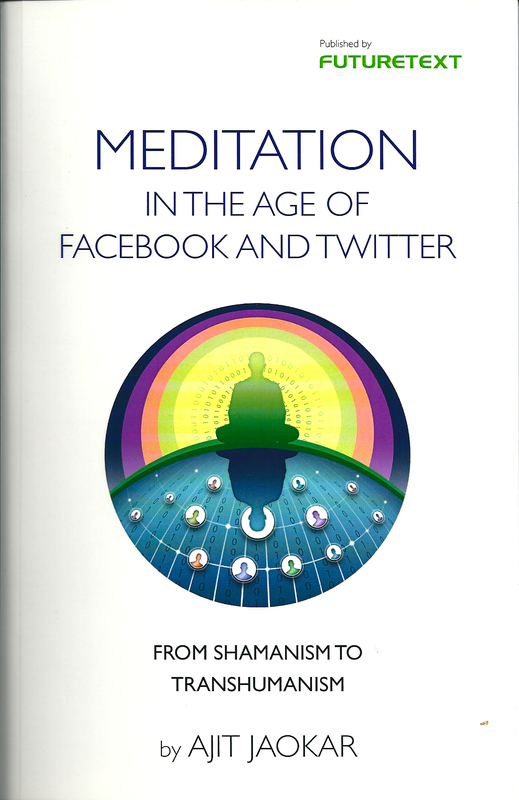 You can purchase a copy of ‘Meditation in the Age of Facebook and Twitter – From Shamanism to Transhumanism’ on Amazon.com and Amazon.co.uk.